Beautifully remodeled with lots of space and a salt-water pool to add to the fun! With nice attention to detail you will find a home that has been loved and well cared for. Living room/dining room with wood floors, den, sparkling kitchen with nice appliances, breakfast room with fireplace, remodeled baths with beautiful tile work. You will find a wonderfully finished basement with its own new kitchen, fireplace, dining room, living room, two bedrooms and a bath plus a half bath, stunning! The salt water pool is fully fenced with new fencing, large screened picnic shelter (crab shack) beautiful views, only 7.8 miles from interstate 81, close to Sentara hospital, Shenandoah Valley airport, shopping and great schools. Workshop out front. 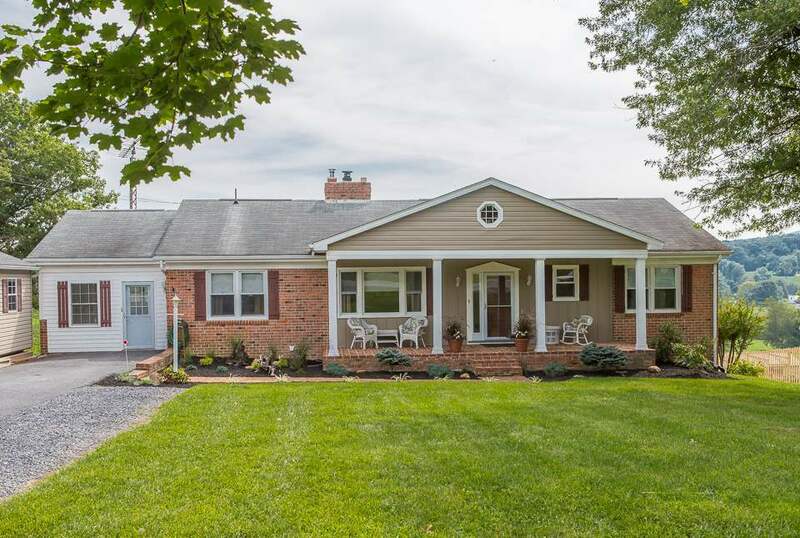 Best Use: Residential With Rural Views And Easy Access To Harrisonburg And Airport.